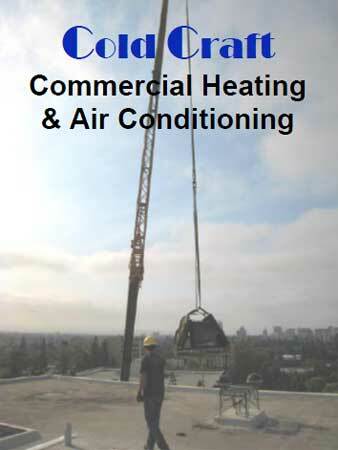 Cold Craft is the thought leader in commercial green heating and AC. Some of our very first projects were a series of conversions from ozone damaging CFCs to environmentally friendly refrigerants. Today we still seek out innovative solutions for our commercial clients with installation and service alternatives. Whether you're a property manager, apartment management company, builder owner, management company or just someone trying to keep maintenance costs within budget, Cold Craft has the tools and personnel to meet your needs. 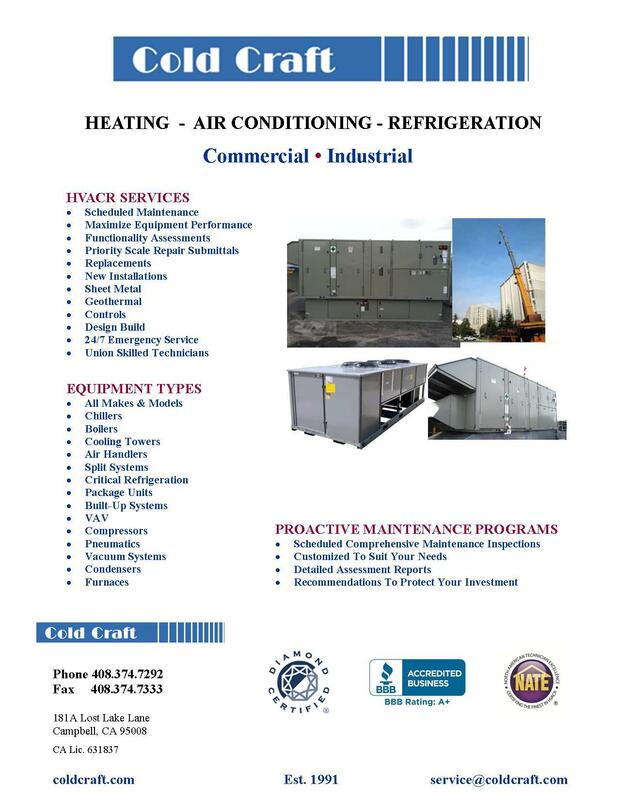 Cold Craft, Inc. is well versed in many aspects of commercial HVAC- R work. 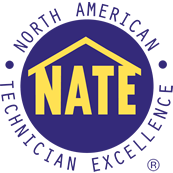 This firm takes a consultative attitude to HVAC. Examples of this include The replacement of an oversized rooftop chiller with a 100 ton chiller (saving the owners energy costs and increasing the equipment life). A grocery chain was spending a lot of energy on refrigeration and through some PG&E rebates and advisement the grocer is seeing big savings on their energy bills. Cold Craft also works on bio tech equipment like an -80 degree freezer, winery equipment and chillers as well as data center and call center conditioning. Call us for your unique needs 408.374.7292.